Eleven members have signed up to Hard Rock Cafe Manchester’s team to take part in this year’s Great Manchester Run. 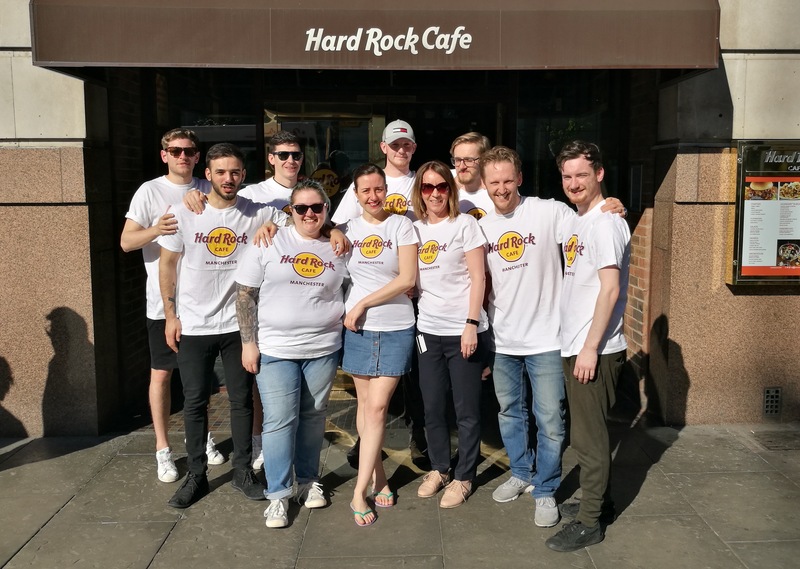 The team from Hard Rock Cafe, one of Manchester’s longest running, much-loved city centre food and live music venues, will be raising money and awareness for the charity Volition Manchester. Volition Manchester is Manchester Cathedral’s volunteer programme who seek to put job seekers back into work. 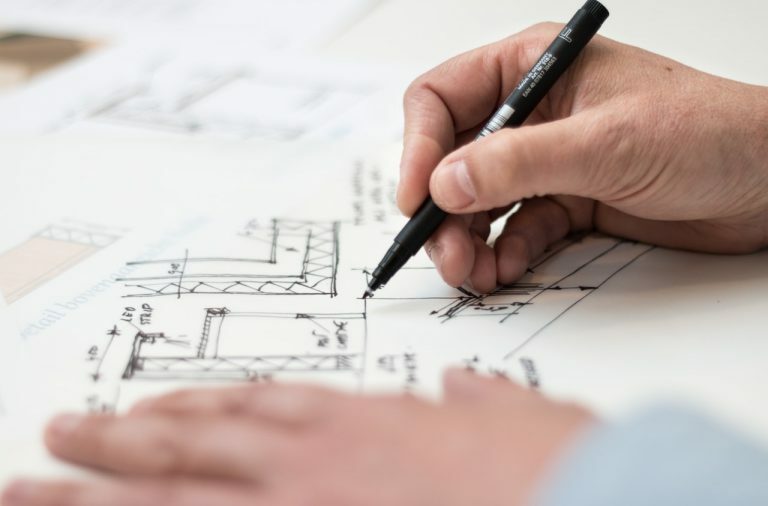 Operating a Cathedral Volunteer Programme for unemployed people, they help create a structured pathway to support them back into work, including work related training, mock interviews and mentoring, through their award-winning Employer Partnership scheme. Nick has been a member of the Hard Rock family for 15 years and has taken part in countless company charity events. Nick is looking forward to supporting a great charity for a city that he loves very much, and that the group taking part, truly embody what Hard Rock Cafe is all about. Caroline is a wife and mother alongside her role as General Manager at the Manchester Cafe, so hobbies and fitness are virtually impossible. She feels like this 10k run will be a great opportunity for her and Hard Rock to give something special back to the city that has been so kind to them since September 2000. She’s never run for anything more than a bus, so she’s hoping to not embarrass herself too much in front of the team! Jamie is a new addition to the Hard Rock team, having been with the company for around a month. Born and raised in Manchester, Jamie is a keen charity runner, having twice taken on the Manchester 10k raising money for the MS Society, a disease his father has battled for over 25 years. With a recent addition to his family, Jamie may have a few dark circles around the eyes, but is still very excited to help raise money for such a great cause. With a Hard Rock Cafe Manchester tenure of over two years, Patrick is a regular gym-goer and has decided to trade in the dumbbells for the treadmill to train hard for the Great Manchester Run. Patrick is participating in the run because he wants to help raise a great amount of money for charity, as he believes one small positive step can make a huge difference. As a former member of Her Majesty’s Senior Service (RN), when Chris isn’t working or being Dad, he’s a junior basketball coach for the successful Boaler’s Ballers of Saddleworth. He’s run a few 10ks in the past – but says he’ll be very happy if he’s able to complete this race in any time under an hour! Chris is very keen to raise money for charity as part of the run this year. Aiden is a new member to the Hard Rock Cafe Manchester team, and has been with the company for nearly six months. He is a big sportsman, playing rugby in his free time, and thought running the Great Manchester Run would be a great opportunity to raise money for a great cause and bond with the team. Camila is originally from Brazil and has been a part of the Hard Rock family for two and a half years. She is running the Manchester 10k to help improve the lives of Mancunians through Hard Rock’s chosen local charity. Camila is looking forward to spending more quality time with her colleagues, whilst keeping fit and raising money for a great cause! Simon is a big sports fan, avidly supporting Wigan Athletic, and is also a keen biker. He has been a part of the Hard Rock family for nearly two years and is looking forward to running the 10k this year with his colleagues, hoping they raise plenty of money for charity. Mel has been in the Hard Rock family for many years and has always loved getting involved with Hard Rock’s famous charity work which spans globally. She says that she is excited to have a great and challenging day taking part in the Manchester 10k. Enric has been with Hard Rock Cafe Manchester for a year. He is a big fan of supporting charity and is running the Manchester 10k to help support the great people of Manchester. Andy has been a chef at Hard Rock Cafe Manchester for two years. A huge Manchester City fan, he is a big sports fan and an even bigger admirer of the city of Manchester. He is running the Manchester 10k this year to spend some quality time with his workmates and to of course help raise money for the great charities Hard Rock are supporting.